The 9th Circuit Court of Appeals has put a Swan Valley logging project on hold again while environmental groups appeal two large projects on the Flathead National Forest. On Wednesday, the appeals court granted an emergency injunction requiring the Flathead National Forest to stop work until the court decides a case challenging the Glacier Loon timber sales around the north end of Lindbergh Lake. Oral arguments will probably be heard in July. Environmental groups requested the injunction on Monday after the Flathead National Forest announced it was starting work in the area. Work would have begun sooner, but it was delayed by the federal government shutdown that ended Jan. 25. 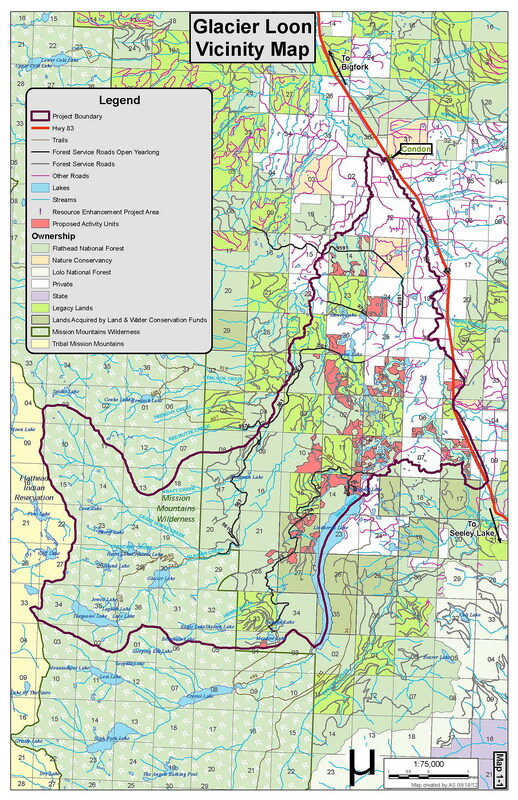 As part of the 37,320-acre Glacier Loon project, the timber sales would affect almost 1,400 acres and require the construction of almost 6 miles of temporary roads. The problem is the area is prime grizzly bear, wolverine and lynx habitat, and the environmental groups say the treated areas would cause fragmentation and ecological degradation. If the case didn’t have some merit, the court wouldn’t grant the injunction. But Michael Garrity of the Alliance for the Wild Rockies is taking a wait-and-see attitude about the appeal. The other environmental organizations include Friends of the Wild Swan, Swan View Coalition and Native Ecosystems Council. The environmental groups won the first round in 2014, after Missoula federal district court judge Donald Molloy agreed that the Forest Service hadn’t properly assessed negative affects on bull trout and wolverine. The impact on habitat is made worse by the fact that the 35,000-acre Beaver Creek Project – with its own 2,888 acres of planned logging – sits just to the south of the Glacier Loon project. If you draw a big irregular circle extending about 6 miles around Lindbergh Lake, it would encompass both projects with the dividing line being the finger-like lake and the road from Highway 83. The environmental groups say the Forest Service shouldn’t be allowed to propose logging projects in each area like they’re isolated. The Alliance for the Wild Rockies recently won a court decision to halt a sagebrush and juniper-burning project in the Elkhorn Mountains because the Bureau of Land Management’s failed to consider cumulative impacts of multiple burning projects. The environmental groups are also fighting the Beaver Creek project in the 9th Circuit Court after losing in district court. Oral arguments are scheduled for April 11. Last year, Molloy and federal district judge Dana Christiansen, who heard the Beaver Creek case, ruled that the Forest Service had done what was asked: doing a better review of impacts on wildlife on the two projects. Arguing that the environmental reviews still miss the mark, the groups have appealed both cases. Both Molloy and Christensen refused to grant injunctions while the environmental groups appealed, so the groups turned to the 9th Circuit, where injunctions have been granted.